It’s been a very strange week. I was on a tear it up writing binger for most of November that came to a screeching halt a week ago today. A brief trip to the sun, where sunscreen and keyboards don’t mix, made for a lull. Time with my boys and Smart Guy, demanded full attention long full days left me too tired to write at night. Then, a fantastic reunion with an old and very special friend left me skipping out on my writing as well. 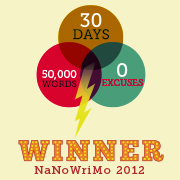 My goal for NaNoWriMo was not just to make the 50,000 goal, but to write each day in November. I didn’t accomplish that, but in the end… it is all good. I’m doing just what I should be. This is for all the Old Friends… and the new ones, that will someday be old friends. It’s hard to describe how much I’ve missed you. After a few years apart, it was so wonderful to see you again this past weekend—reconnecting with someone who’s been like a sister. You’ve known me for as long as I’ve known me. You were the first person I called when my dad was killed in 1973. I called to say that I couldn’t bring the Kool Aid for the class party, but you knew that I was broken inside and you said all the right things to my ten-year old self. I remember holding the receiver from the wall phone in my den, and feeling grateful that I knew you were standing in your house— through the woods— and you got it. You were there through the years, elementary, junior high and high school, helping me figure out what was normal and what wasn’t… and which things we couldn’t change anyway. You were my first friend when we moved to Massachusetts and have remained a friend for forty years. That giant leap of time is scary, except when I think of what it means in hours and years of friendship. When I think of so many of my life’s decisions, the events and hallmarks: going off to college, getting engaged (you and I were roommates then), comings and goings in our families, the birth of each of my children… you are there with me. What a special thing that is. Priceless. As in all relationships there were times when we drifted, or fractured. Like sisters who are close, there were also moments when we weren’t; but true to the friendships that last, we always found the apologies needed and regained the sweet spot. The challenges always lead us back to a good place. Over the past few years we lost touch, for a brief time and that time was untenable, painful. I missed you through each thing that happened, through each event that I couldn’t share with you. Things felt incomplete; not sharing them with you was empty spot in my life. I missed hearing about you, and your life. Your family has long been mine, and mine has always known you. What a sweet day when we figured out how to reconnect and move past the gap. Seeing you again it was as if there had been no lapse, no time away. Conversations begin anew, easily and free from the struggle of figuring out what to say. I am so grateful that we have found our groove again… slipped right back into the lovingly worn tracks. There are few people who can tell my children what their mother was like when she was learning to drive—thankfully. There are not many people left, who have so many memories and examples to share with my kids about who their mother was through the years, how she came to this moment… as their mother. That is the magic of the years that connect us. It’s what friendship is about… the ebb and flow, the sweet years and the ones that challenge you. It’s the lunches where you laugh at the same stupid jokes and share what you need to share. Checking out shoes together, shopping, and listening when hearts are hurting— hugging when hearts are full and brimming with the good stuff. Friendship is tested by time, and challenged by life. It’s the truly good friendships that survive and flourish with both. I am so grateful to have this in my life. This note goes to a special friend who I’ve recently reconnected with, after a few sad years apart. However, I am so lucky to have many good friends in my life. There are those that are newer and a few who have been around for a long time. Lunches and shoes and all the good stuff that I share with friends who are here and now, make my days brim with good. It’s a special thing in life, if you can say that. I don’t take it for granted, and I’m grateful for each of you. Do you have friendships that have spanned a most of your life? What does that friend know about you that the others don’t? Come on; share a secret. What makes for a good friendship for you? Leave a comment; start a conversation. This entry was posted in Aging, Awareness, Blog, Blogging, Daily Observations, Life, Musings, Tales From the Motherland, Women, Women's issues, Wonderful Things, Writing and tagged aging, blogs, friends, friendship, musing, Tales from the Motherland, women, writing. Bookmark the permalink. 8 Responses to The Middle: Dear Friend. Nice… I should write this sort of post. Thanks to FB I’m reconnecting with high school friends, including Barb Chapman who is in Tangerine Tango. I had hoped to see her today- I’m visiting my parents in CT, but her MS has flared up, affecting her gross motor and speech. My best friend from growing up had brain surgery that left her much like an MS patient. It’s very hard.. so glad you reconnected with your “old” friend and happy to be among your “new” friends. FB has been amazing for reconnecting! I am always surprised by how much more open people are when they connect on line, vs in person. Totally changed the mood and outcome of my 30th high school reunion! That said, so glad this reunion was face to face! Sorry to hear that two of your friends are struggling, Lisa. Hard, hard stuff! Yes, happy to have made so many wonderful blogging friends. What a lovely post, Dawn! I’ve been thinking about you as November winds down, wondering how you’re doing with Nano. Hope you still got a lot out of it. Just participating is excellent! I didn’t meet all my goals during the Nano summer camp, either, but it was still worth it. I have no (serious) regrets. I really wanted to write EVERY day. That was my own, personal, goal…and I did so well up until the 21st. Since then, it’s been very limited and I haven’t even logged on to register some of the tiny additions I’ve made. I’m hoping to do a bit more before Dec.1. I completed the 50,000 and made a huge dent in a new book, but would have liked to have done a little more. Thanks for all the encouragement Meagan, and for checking out my progress. I have had one friendship in particular that began when we were both in diapers. We played together as girls, went through the teenage years together, and even when I went off to college and then away for work, we would still reconnect. She knows all my deep, dark secrets. But, after being away and coming home with fresh eyes, I noticed strange things about her behavior that, while we were growing up I briefly noticed and then brushed off. Over the past few years, I am realizing with clarity, that my sister/ friend has a real problem that is some sort of personality disorder. Because of this, I have had to distance myself from her emotionally (we are already 3000 miles apart). It’s sad in a lot of ways. But, I am learning that it’s ok to outgrow a relationship and to set boundaries, even with a friendship that is almost half a century old, if it’s not a healthy one. And on a cheerier note, I reconnected with an old college roommate just over a year and a half ago, and that has been wonderful! I think that it is really important that we figure out what works when we are younger, and what doesn’t when we are grown. Things definitely change as we understand things that may have been a mystery to us as children. It’s sad that this happened, but then I suppose there’s great value to the years you spent together.